In my last post I did a mini haul and one of my favourite purchases of the day was my models own disco mix nail polish that you can buy here. 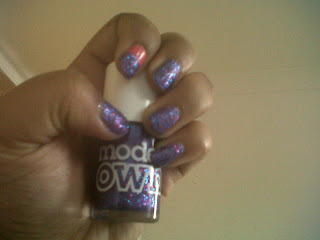 Models own have many different polishes, from glittery to pastel colours. I'm not sure if they can buy them anywhere else other than their website and Boots... If you go into Boots (I'm not sure if this is every store) but my local boots do a 2 for £8 special saving you £2. I'm so pleased I finally have a glitter nail varnish as I've had one on my wishlist for ages now. The models own section in Boots is just so cute, It took me quite long to actually figure out which nail polish I wanted but after thinking long and hard I remembered I'd read loads of great reviews on this disco mix polish so went with it. I can't even begin to explain how fast it drys, it's seriously worth the price. I haven't got a bad word to say but all I'd say it just because it's a glitter you do have to put on a few coats if you want a big effect. 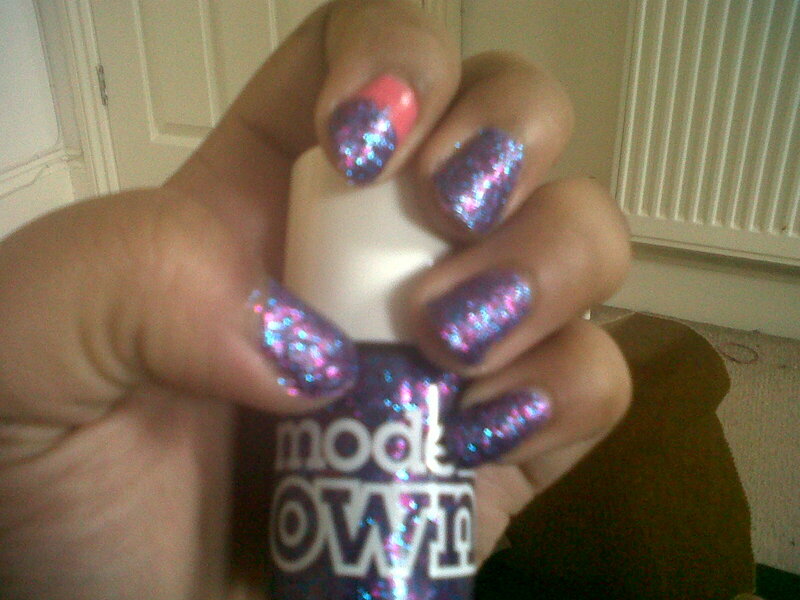 Have you got any models own nail polishes? I have none of these polishes and for this I am not happy. :( I assume we can find them in Boot's stores? I use Nail.inc a lot but tbh I've bitten my nails too much out of pure stress with college work haha so I have to wait for them to grow back! Love this colour though its gawgus! It's a really nice colour, it will add interest to an outfit. I think if you select macro on your camera then we can see the details/ a closer more focused image of the nails. 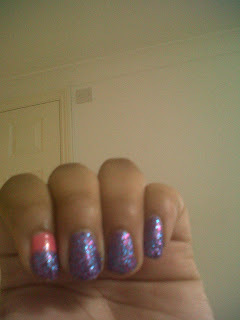 That way we can really see how cool this nail polish is. Hello coookie, just wanted to say thank you for commenting on my blog and im glad i came across your blog. You officially have a new follower. Im pretty sure i have seen you before on another blog. Are you friends with @Allyretro? 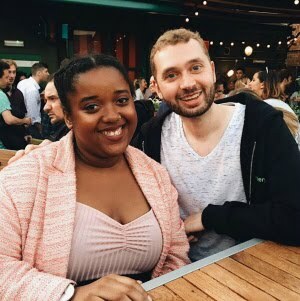 Im sure iv seen you in her blog also. I may be wrong. Thank you for the comment + follow lovely. :'D Me & @AllyRetro are twins, when she's nice she occasionally mentions me on her blog. ;) Thanks so much lovely and you've also got a new follower on twitter. ;) I look forward to reading all your upcoming posts. I love Models Own polishes . 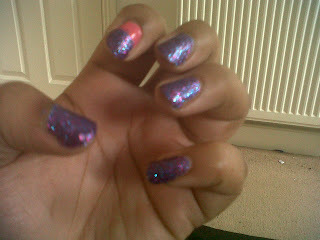 . . especially the glitterly ones . So hot !